Iran’s constitution is a unique hybrid that blends the concepts in a modern republic—borrowing heavily from French and Belgian law—with Islamic Sharia. Two articles are particularly relevant to the status of Iran’s religious minorities, who make up about one or two percent of the population. Article 13: Zoroastrian, Jewish, and Christian Iranians are the only recognized religious minorities, who, within the limits of the law, are free to perform their religious rites and ceremonies, and to act according to their own canon in matters of personal affairs and religious education. Article 14: In accordance with the sacred verse -- "God does not forbid you to deal kindly and justly with those who have not fought against you because of your religion and who have not expelled you from your homes" [60:8] -- the government of the Islamic Republic of Iran and all Muslims are duty-bound to treat non-Muslims in conformity with ethical norms and the principles of Islamic justice and equity, and to respect their human rights. This principle applies to all who refrain from engaging in conspiracy or activity against Islam and the Islamic Republic of Iran. The idea is not new in Iran. Some religious minorities were first granted seats after the Constitutional Revolution of 1906 produced Iran’s first legislature--in what was also the first elected parliament in Asia. Neither the 1906 constitution nor the 1979 constitution include all minorities, however. Some Protestants, notably evangelicals, also do not have representation in parliament. The Baha’is are Iran’s largest religious minority, numbering up to 350,000. They are not recognized by the constitution, are not protected under the law, and are hindered from practicing their faith. Baha’is—an independent world religion—are viewed as apostates by the Iranian government due to the Islamic belief that Mohammed was the final prophet. Bahai’s follow Bahá’u’lláh, who founded the faith in the 19th century. In July 2013, Iran’s Supreme Leader Ayatollah Ali Khamenei issued a new fatwa against the Baha’is. He warned Iranians to “avoid any kind of association with this misguided and misleading sect,” according to the news website Tasnim. Seats in parliament also do not guarantee equal rights for any of the religious minorities. In practice, they face many obstacles in employment, education, and property ownership, according to the U.S. State Department. They are also largely excluded from senior government or military positions. For parliament, candidates from religious minorities must meet certain requirements: They have to be Iranian citizens, not have a “notorious reputation,” be in good health between the age of 30 and 75, and support the Islamic republic, the constitution, and the Supreme Leader. The following is a summary of Iran’s recognized religious minorities. There are two major types of Iranian Christians: ethnic and non-ethnic Christians. Ethnic Christians include Armenians, Chaldeans, and Assyrians. Armenians are the largest Christian group. Their current population has significantly declined—from 300,000 in 1979 to between 40,000 and 80,000 today. They hold two seats in the Majles but also have observer status in the powerful Guardian Council and Expediency Councils, the two oversight bodies. Most Armenians live in Tehran, Isfahan, Tabriz, Orumiyeh and smaller groups towns, such as Rasht, Bandar Anzali and Arak. The member of parliament from northern Iran is Karen Khanlari, who is serving his first term. The member of parliament from southern Iran is Robert Beglarian. He has served three consecutive terms since 2004. The Assyrian population, which has one seat in parliament, reportedly numbers around 20,000. Most Assyrians live in Tehran, with smaller numbers around Orumiyeh in the north. Their current representative, Younatan Betkolia, has been in office since 2000. He also became head of the International Union of Assyrians in 2008, when he moved the headquarters from Chicago to Tehran. Christians not associated with an ethnic heritage group do not have Majles representatives. These groups—largely Protestant or evangelical—proselytize their religious beliefs and have been subject to persecution, according to the International Federation for Human Rights. In Sharia law, apostasy—or conversion from Islam to another religion—is considered an offense punishable by death. Iran’s Jewish population now numbers about 25,000, down from around 80,000 in 1979. Yet it is the largest Jewish population in the Middle East outside Israel. Their representative in parliament is Dr. Ciamak Morsadegh. 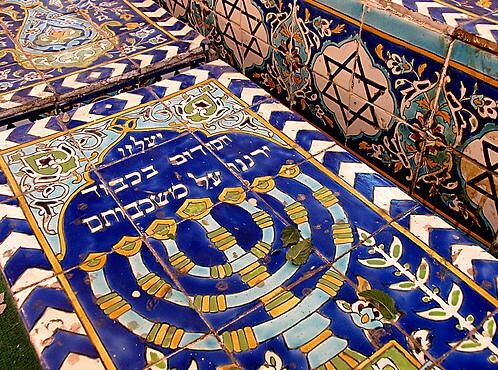 Most Jews live in Tehran, which has active synagogues, a Jewish school and kosher butchers. Smaller numbers live in Esfahan, Shiraz, Hamadan and a few other towns. Iranian Jews are allowed to practice their religion, but they have faced periodic prosecution and harassment. In April 2000, 13 Iranian Jews were tried for spying for Israel. Those tried included one rabbi, community members, and a teenager. Their sentences were eventually reduced. They were all released by April 2003. Jews have periodically been accused of supporting Zionism. Iran’s Jews have also felt the overspill from the Arab-Israeli conflict. During the 2006 war between Israel and Lebanon’s Hezbollah, an Iranian newspaper, Yalesarat, published pictures of synagogues that it claimed were in Iran showing people waving Israeli flags. The pictures were actually synagogues outside Iran. But the publication spurred attacks on two synagogues in Iran, according to Maurice Motamed, a former Jewish parliament member. Jewish members of parliament have occasionally expressed grievances. In 2005, Motamed challenged President Ahmadinejad’s denial of the Holocaust. He also complained about the portrayal of Jews in the media. Ironically, Ahmadinejad donated money to Tehran’s Jewish hospital, a sign that the Jewish community has some relevance in Iranian politics. Dr. Morsadegh, the current Jewish member of parliament, heads the hospital and has stated that Iranian Jews were not threatened by Ahmadinejad’s policies. Morsadegh has attempted to distance Iranian Jews from Israel. “We are Iranian Jews and are proud of our nationality. No amount of money can encourage us to give up Iran. Our nationality is not up for sale,” he said after 40 Iranian Jews immigrated to Israel in December 2007. “There are no specific problems for Jews in this country,” Morsadegh said in a May 2008 interview with Reuters. He has also spoken out against Israel’s treatment of Palestinians, especially in Gaza. About 20,000 Zoroastrians live in Iran, down from around 300,000 in the 1970s. The current Zoroastrian member of parliament is Esfandiyar Ekhtiyari, who is serving his second term. Most Zoroastrians live in Tehran, with other communities in Yazd and Kerman. Zoroastrians are the oldest religious community in Iran. The faith was established sometime between 1800 and 1000 B.C. in Iran. It was the dominant faith during the Persian Empire and later became the state religion. It waned after the Arab Islamic conquest of Persia in the seventh century. Some of the basic Zoroastrian tenants include concepts of heaven and hell, resurrection, a supreme and universal God, divine creation, the spiritual nature of the world and humans, belief in the afterlife and the basic goodness of humanity. The Iranian new year Nowruz—originally a Zoroastrian tradition—is a state holiday in the Islamic Republic celebrated by all Iranians. Iran’s Zoroastrian population faces decline due to emigration, conversion to Islam, harassment and discrimination. The Iranian media has portrayed Zoroastrians as devil worshipers and polytheists. 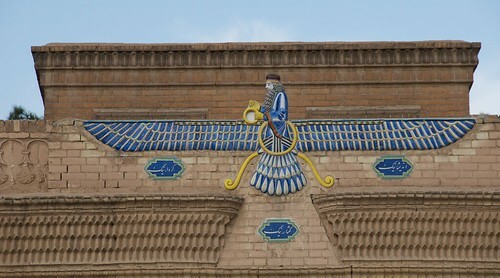 Some Zoroastrians do not identify their religious background, fearing persecution. In November 2005, Ayatollah Ahmed Jannati, chairman of Guardian Council, referred to Iran’s religious minorities as, “sinful animals who roam the earth and engage in corruption.” Kourosh Niknam—the Zoroastrian member of parliament at the time—protested Jannati’s comments. Niknam faced a revolutionary court and was threatened with execution. He was released with a warning. Niknam was succeeded by Esfandiyar Ekhtiyari in the 2008 Majles elections. In recent years, some Iranians have adopted Zoroastrian symbols and traditions to celebrate Iranian culture that pre-dates Islam. In January 2013, some 2,000 people – reportedly including Muslims -- attended a Zoroastrian winter festival called Sadeh. One Muslim who attended the festival explained that it should not be seen only as a religious festival. “Sadeh is an ancient celebration that symbolizes Iran's rich cultural heritage. There is no reason why Iranian Muslims shouldn't observe the event,” he reportedly said. Bijan DaBell is a former Iran specialist at Freedom House.